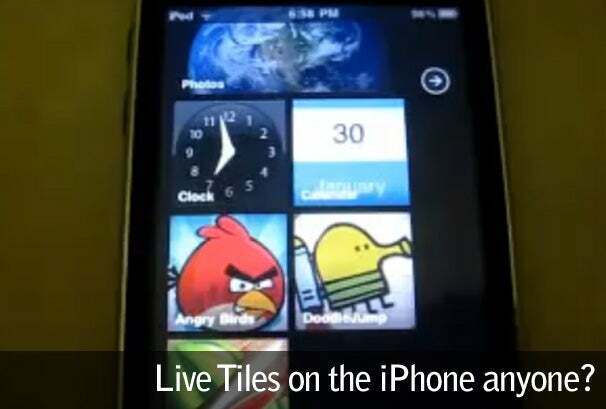 To give the Windows Phone 7 interface a try --complete with snazzy Live Tiles-- you will of course need to jailbreak your device. If you're a jailbreaker, the whole process to switch your iPhone's look is a fairly simple one, with full instructions on how to make the change detailed over on the Modmyi forum. Is it enough to make you jailbreak? Let us know in the comments.